Near here was a large permanent village of the Republican band of the Pawnee tribe which may have been occupied as early as 1777. On September 25, 1806, Lieutenant Zebulon M. Pike visited the village with a small party of soldiers. He was greeted by Chief Characterish and 300 horsemen. The American party found that the village had been recently visited by a large Spanish expedition from Santa Fe. Pike set up camp with rifle pits on the north bank of the river opposite the village. He persuaded the Pawnee to lower a Spanish flag and raise the American flag. After holding peace conferences between the Osage, Kansa and Pawnee, Pike served notice the land was now a part of the United States and the Spanish would be forbidden in the area. On October 7th, the American party defied the warnings of the Pawnee not to travel toward the Spanish settlements. He and his party were captured by the Spanish but were eventually released. A short distance downstream from the village site is one of the five "sacred places" of the Pawnee. It is known as Pa-hur' to the Pawnee or "hill that points the way" and as Guide Rock to the whites. 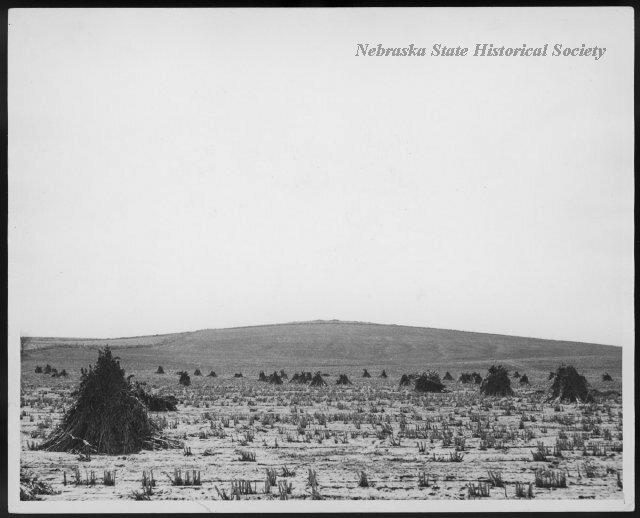 “Republican Pawnee Village,” Explore Nebraska History, accessed April 19, 2019, https://mynehistory.com/items/show/525.